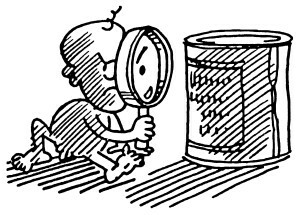 Baby Milk Action is developing an online training course on monitoring the baby food industry. The first two modules are available to Baby Milk Action members and subscribers. Module 1: Introduction to the International Code of Marketing of Breastmilk Substitutes. Module 2: History and current state of the Code. Future modules will explain the marketing provisions in more detail and how to enforce them. Modules combine written text, video clips, reference materials, powerpoint presentations and quizzes. Click here for the first module. We are seeking donations to be able to add the other modules in this course: click here to donate. More generally, we are seeking grants towards our UK monitoring and training activities. We require £10,000 per year. Baby Milk Action has a proven track record in stopping misleading marketing practices and strengthening regulations. We support the public in monitoring their local retailers and health facilities. We make submissions to the UN Committee on the Rights of the Child, which has repeatedly called on the UK Government to fully implement the International Code of Marketing of Breastmilk Substitutes and subsequent, relevant Resolutions in the UK, acknowledging that violations of these measures are “commonplace”. If you are from a funding body and can consider giving us a grant towards this work, please contact us.